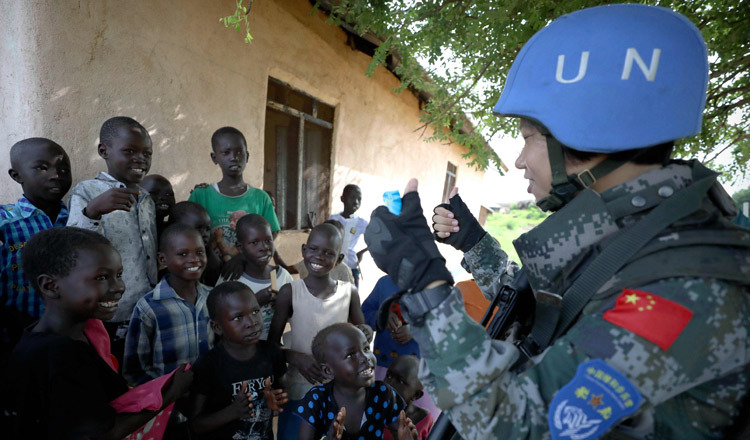 UNITED NATIONS (Xinhua) – Several member states of the United Nations on Monday called for plans to ensure the safety and security of peacekeeping personnel. The report also found that the total cost of occupational safety and health fatalities, injuries and illnesses to the organization and its peacekeeping operations was approximately $250 million a year. On behalf of Canada, Australia and New Zealand, Canada’s permanent representative to the UN Marc-Andre Blanchard said that they strongly support a robust culture of performance evaluation and accountability throughout the UN. The ultimate goal of strengthening performance must be to increase the overall effectiveness of peacekeeping operations, because doing so will improve the safety and security of civilians and uniformed peacekeepers alike, said Mr Blanchard. “More attention should be paid to the safety of peacekeepers,” said Wu Haitao, China’s deputy permanent representative to the UN, adding that the Secretariat and the missions should formulate security rules in an integrated manner, strengthen information collection and sharing, ensure that security equipment and measures are in place, and strengthen medical ambulance capacity effectively. To carry it out, the five peacekeeping missions with the highest fatality rates since 2013 have appointed dedicated teams to drive implementation on the ground, the report added. The action plan includes a number of measures, such as the missions to support national authorities in prosecutions for attacks against peacekeepers, or re-examinations of missions’ deployment footprint with regard to priority locations, threat assessments, mission support and medical considerations as well as operational capacities. “There are preliminary indications that those efforts have begun yielding fruit, but we must remain vigilant, as the threats to peacekeepers remain extremely high,” said the report. The number of fatalities as a result of hostile acts from January to September 2018 was 43 percent lower than the figure for the same time period in 2017, and the six-month period from January to June 2018 also registered a 60 percent decrease in fatalities compared with the preceding six-month period from July to December 2017, it added.